Thanks to a complete (and I mean complete) collection of screenshots graciously sent in by Brent Terrazas, I have been enlightened as to my need for Linux. Looking over the screenshots, I see a great deal of variation — more so than any of the Mac or PC browsers at my disposal — in terms of how designs are rendered on various Linux-driven browsers. The obsessive-compulsive designer in me suddenly sees an incredible need for my own Linux setup — not only for design-testing and cross-browser compatibility purposes, but also because I have always wanted to learn the ways of the Jedi..
A long time ago, I had a copy of Red Hat something or other setup on a dual-partitioned laptop, but that has long since vanished into the ether. I still have those old Red Hat installation disks, but I am certain that there is a much better solution available and would prefer to go with something as current and flexible as possible. So my question to you is, what is the best way to go for setting up with Linux? I currently own three machines: a Sony Vaio running Windows, a Macbook running OS X, and an old trusty laptop PC running, yes you guessed it, Windows 98SE. Is it ideal (or possible) to setup Linux on one of these existing systems? Or would it be better to invest in a new computer (I think it would, but my wife would probably disagree) for the purpose of learning and using Linux? I have read about thumb drives and CD-based Linux operating systems as well; any advice on those? And then, and most importantly, what is the best version of Linux (preferably open-source) currently available? I realize that I am probably opening a big fat can of worms by asking these questions, but I prefer to get input from people with whom a mutual resonance has been established, namely, my readers. 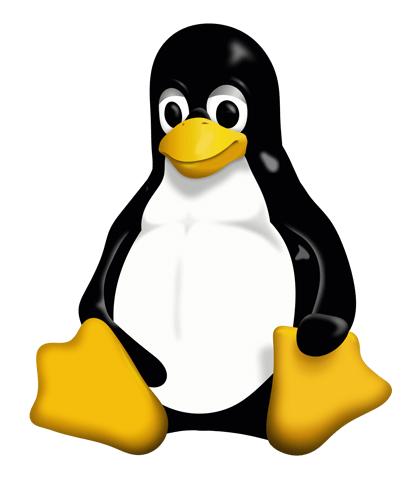 Plus, assuming that I succeed in setting something up, I will be sharing Linux-related information here at Perishable Press, so whichever Linux version I end up with is the one that you will probably be reading about (from time to time). So chime in with your thoughts — I trust your advice and look forward to your hearing your ideas about this. For the best hardware compatibility and ease of installing multiple desktops and browsers I would recommend Ubuntu. It’s the most popular desktop Linux. I personally run Fedora because I work on Red Hat but Fedora would be my second recommendation. Both are free and have great community support networks built up. You’ll get the best experience installing natively on your PC but consider either VMware player or Virtualbox to run virtual machines for free. If your primary goal is to test various desktops and browsers this will be the best option. Personally I started using Linux about three years ago, the first distribution I tried was Ubuntu Dapper – Ubuntu in a recent version is the distribution I would reccomend to a new user, too. It’s easy to install, has great support of hardware and – that’s the most important – a great community to learn from. You will still have to learn a bit more about your operation system than with WindowsXX but Ubuntu is a good way to do so. In 2008 I’ve finally switched over to Arch Linux which is a bit more customizable and faster due to its compilation flags but I would not reccomend Arch for a new-to-Linux-user. Most of the recent distributions provide a liveCD/DVD you can download, burn to a disc and test in your machines, most of those live CDs/DVDs include a setup/installation program you can use if you like the distribution. Working with a local setup of apache/mySQL/WordPress for theme testing purposes is an easy task once you got used to the new operating system habits and it is well documented in various wiki pages. 1. Any Ubuntu/Debian based distro for the Vaio. 3. Damn Small or some other variation/light distro on the lappy. If the Vaio has a decent GFX card, you can get the most out of it with Linux Mint. It has all the eyecandy such as Compiz Fusion and other pretty stuff installed for you. There are a few variations of Mint, and each one is very user friendly. I recently jumped at linux as well; I shoved ubuntu on a server and been playing around with suse…which IMHO has the least learning curve of all the nix. I’d add another vote for Ubuntu. Been using it since I started playing around with VPS. Ubuntu is a pretty good choice for new users, since it tends to be one of the more robust distros. Ubuntu is capable of booting as a LiveCD, but if you’re planning on using it a lot, you may want to go with Puppy or Damn Small Linux, since as LiveCDs they tend to boot faster. If you want to make you’re life really easy, you can always go with Linux Mint, which is like Ubuntu with a few extras (like proprietary codecs). My advice would be to dual-boot XP/Debian on the Vaio, I guess. Thanks for the mention, I currently am running Ubuntu Server 8.04 on VMWare Fusion beta (it’s a free beta download.. check it out for your mac) on my mac (running OS X 10.5.5), then i’ve also got a very very lean install of CentOs on another virtual image to mirror a client’s dev environment. Both load up quickly + i’ve never really had any problems that a quick google search couldn’t clear up. Ubuntu is really easy + painfree to install over Windows Vista/XP… you don’t even need to partition the drive (i think, don’t kill me if i’m mistaken on this one). I’d say go with ubuntu desktop if you’re looking for a linux GUI that has room to expand + grow with your user skill/needs. Like some people are commenting, a virtual solution is going to be the easiest to get going with the least number of issues. I would recommend the relevant VMWare product for the host OS that your going to start with (they have a product for Windows, OS X, and Linux). I’ve been doing that for the last few years to do my browser testing; although usually I just create VMs for Windows XP with IE6 and one with IE7 & FF, then use my mac for dev and safari testing. The question is very hard. It all depends on what you need, on your abilities in problem-solving-disperate-commandline-issues (!) and in compatibility. If you have a performing machine with a lot of RAM you can easily run a VM, but I do not suggest you this solution if your machine have less than 1GB installed. So, if you need a Full-Community-Supported System you can choose Ububtu or some derivates. I personally use LinuxMint Elyssa: it support all Ubuntu repositories and add some very useful features like a single click uninstall on the application name from the menu. Alright, this is exactly the kind of information I was hoping to get. Lots of great ideas and recommendations here. I will be reading through these suggestions and checking out some of the various options. I am serious about getting into Linux, and I think these comments will help point me in the right direction. Btw, what are some of the best sites/resources for Linux-related information?